The Padre Hotel, located in Bakersfield, CA is an old school hotel with a modern flair. For their Bakersfield Unplugged event they had acoustic performances every Thursday. 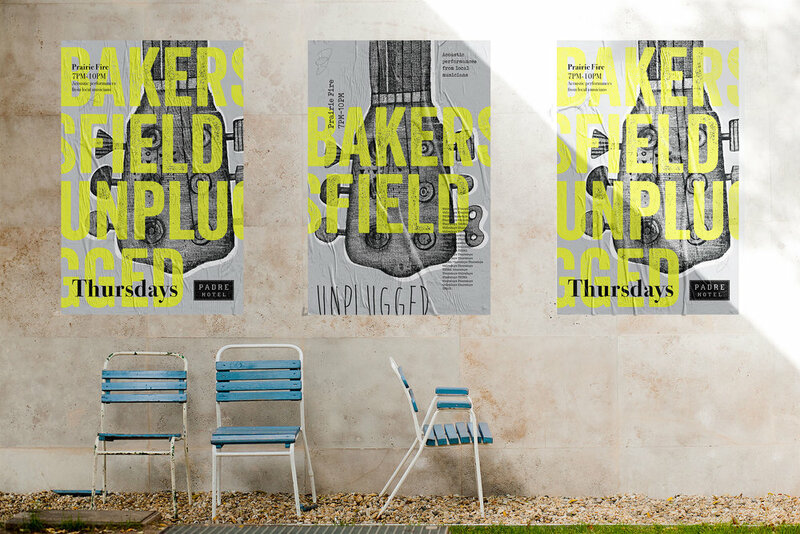 By using a rugged illustration of a guitar with a neon colored font, I promoted the idea of music while relaying the hotel's style of old mixed with new design.